"Deep ruby. Intense, smoke- and spice-accented aromas of black raspberry, anise and lavender. Sappy, penetrating dark berry and bitter cherry flavors gain weight with air without any loss of clarity. A peppery quality comes up on the lengthy finish, which is given shape and grip by fine-grained tannins. This suave, lively wine drinks nicely now but has the balance to age." "The family behind famed Château de Beaucastel delivers a winning Vacqueyras, the little-brother appellation to Châteauneuf. It’s fullbodied, with gorgeously aromatic lavender and licorice floating above the rich berry fruit. Very elegant and worth a 10-year rest in the cellar, or try it now with roast leg of lamb." "The 2010 Vacqueyras les Christins, like most of these other 2010s, was just about ready to go into bottle. 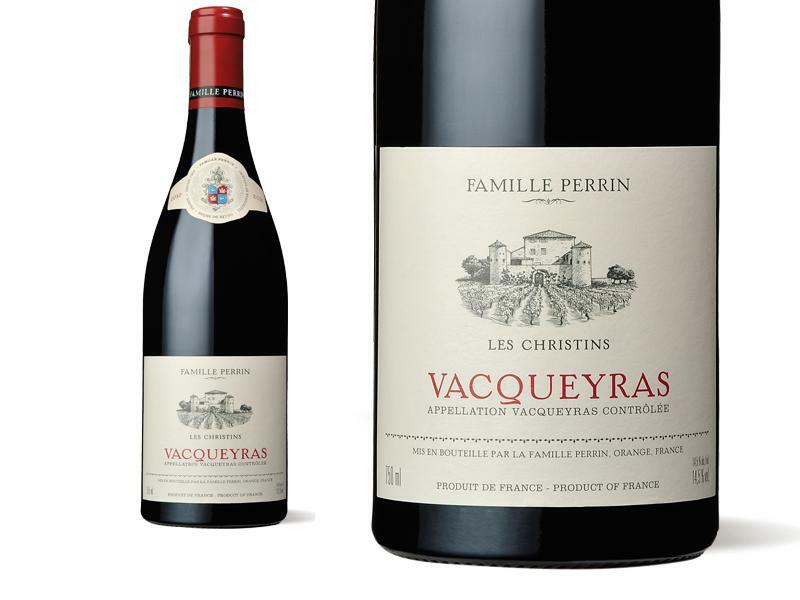 Dense garrigue, peppery kirsch, black raspberry and currant notes, with hints of loamy soil and underbrush were present in this big, full throttle wine, which is classic Vacqueyras. It should drink well for a decade. " "Ripe and fleshy, but pure and unadorned, with sleek plum, blackberry and red currant fruit stitched seamlessly together, guided by a long, warm stone-filled finish. Very fresh. Drink now through 2018." "Dark crimson. Spicy, leathery nose. Big and bold and full of life. But pretty drying on the end. Minerally. Cool. As though some of the fruit had been sucked out."